All eight species of pangolins are threatened by illegal hunting and poaching for illicit international trade, in particular for their meat, which is considered a delicacy in East Asia, and their scales which are used in traditional Asian medicines. One million pangolins are estimated to have been traded illegally in the last ten years, contributing to population declines of up to 80% in the Asian species and a subsequent increase in inter-continental trade in pangolin parts from African countries to Asian markets. Although historically neglected, pangolins have received increasing conservation attention since the re-establishment of the IUCN SSC Pangolin Specialist Group, which in 2014 published the first ever Global Pangolin Conservation Strategy. The first phase of the project, funded granted to ZSL throuth the IUCN SOS programme, focused on implementing key conservation recommendations by tackling direct threats to pangolins at priority sites in Cameroon and Thailand, and by initiating research into reducing demand for pangolin products in China, the primary market for the species and their derivatives. Project outputs underpinned efforts to address the underlying drivers of pangolin declines and provided the conservation community with best-practice case studies for on-the-ground protection of pangolins, which can be replicated elsewhere in Africa and Asia. 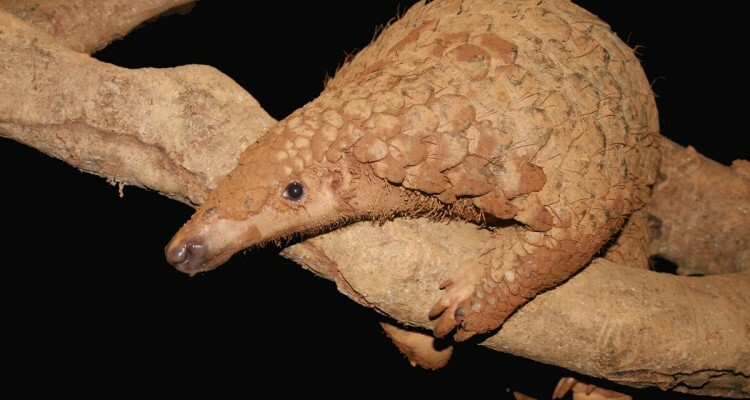 Building on the first phase, ZSL will continue to strengthen site-based protection of the Critically Endangered Sunda Pangolin in Thailand (both a source of pangolins for illegal trade and a significant transit country), and by enhanced intelligence-led protection and anti-trafficking in Cameroon (origin country for more than 10 tonnes of seized scales in 2016 and 2017 alone). The project will also provide technical input into CITES to implement actions agreed at the 17th Conference of Parties, including supporting enforcement of the Appendix I listing for pangolins.